The National Archives Museum in Washington, DC, has many fun exhibits and activities for kids of all ages. Visitors can see the original Declaration of Independence, the U.S. Constitution, and the Bill of Rights, and explore other records in several exhibition galleries, the Boeing Learning Center, and the McGowan Theater, which hosts a variety of special programs, book talks, and films. Visit our event calendar for further details, including dates and times! 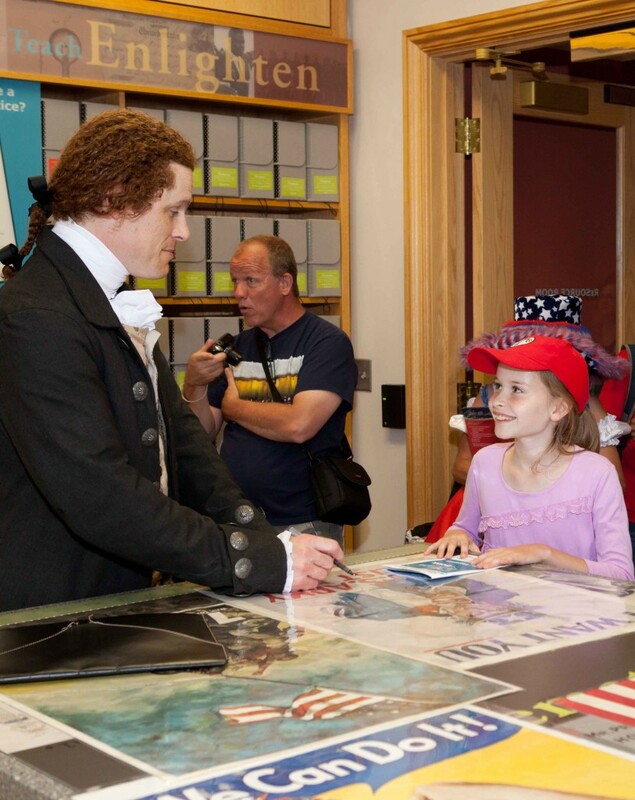 Family Learning Labs: This fun, interactive program invites children and adults to work together to locate and analyze documents and their connections to the Constitution. This program is free, but reservations must be made in advance. Family Days: During these special themed days, the Boeing Learning Center is filled with hands-on activities introducing the great variety of records in the National Archives in new ways. Genealogy Camp: Kids ages 12 and up are invited to spend a week in the summer to learn how to trace their family history through the records at the National Archives. Sleepovers: Families with children ages 8-12 are invited to spend the night in the Rotunda, next to our country’s founding documents! Story Time for Pre-Schoolers: Join the Archives education team for story time designed for 3-5 year olds and accompanying adults. Children will practice their listening skills, participate in group activities and create a craft. The National Archives also includes locations across the country, including 13 Presidential libraries, each of which has a museum that hosts family activities. For more information, visit the website of the library you would like to visit.